Sun Microsystems released the first public implementation as Java 1.0 in 1996. It promised "Write Once, Run Anywhere" (WORA), providing no-cost run-times on popular platforms. Fairly secure and featuring configurable security, it allowed network- and file-access restrictions. Major web browsers soon incorporated the ability to run Java applets within web pages, and Java quickly became popular. The Java 1.0 compiler was re-written in Java by Arthur van Hoff to comply strictly with the Java 1.0 language specification. With the advent of Java 2 (released initially as J2SE 1.2 in December 1998 - 1999), new versions had multiple configurations built for different types of platforms. J2EE included technologies and APIs for enterprise applications typically run in server environments, while J2ME featured APIs optimized for mobile applications. The desktop version was renamed J2SE. In 2006, for marketing purposes, Sun renamed new J2 versions as Java EE, Java ME, and Java SE, respectively. Sun's vice-president Rich Green said that Sun's ideal role with regard to Java was as an "evangelist". Following Oracle Corporation's acquisition of Sun Micro-systems in 2009-10, Oracle has described itself as the "steward of Java technology with a relentless commitment to fostering a community of participation and transparency". This did not prevent Oracle from filing a lawsuit against Google shortly after that for using Java inside the Android SDK (see Google section below). Java software runs on everything from laptops to data centers, game consoles to scientific supercomputers. 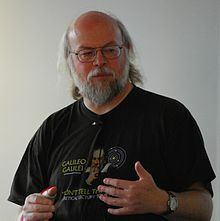 On April 2, 2010, James Gosling resigned from Oracle. Java Platform, Micro Edition (Java ME) - targeting environments with limited resources. Java Platform, Standard Edition (Java SE) - targeting workstation environments. Java Platform, Enterprise Edition (Java EE) - targeting large distributed enterprise or Internet environments. The keyword void indicates that the main method does not return any value to the caller. If a Java program is to exit with an error code, it must call System.exit explicitly. The method name "main" is not a keyword in the Java language. It is simply the name of the method the Java launcher calls to pass control to the program. Java classes that run in managed environments such as applets and Enterprise JavaBeans do not use or need a main method. A Java program may contain multiple classes that have main methods, which means that the VM needs to be explicitly told which class to launch from. ^ Binstock, Andrew (May 20, 2015). "Java's 20 Years of Innovation". Forbes. Archived from the original on March 14, 2016. Retrieved 2016. ^ Chaudhary, Harry H. (2014-07-28). "Cracking The Java Programming Interview :: 2000+ Java Interview Que/Ans". Retrieved . ^ Gosling, James; McGilton, Henry (May 1996). "The Java Language Environment". Archived from the original on May 6, 2014. Retrieved 2014. ^ Gosling, James; Joy, Bill; Steele, Guy; Bracha, Gilad. "The Java Language Specification, 2nd Edition". Archived from the original on August 21, 2011. Retrieved 2008. ^ "The A-Z of Programming Languages: Modula-3". Computerworld.com.au. Archived from the original on January 5, 2009. Retrieved 2010. ^ "A Conversation with James Gosling - ACM Queue". Queue.acm.org. August 31, 2004. Archived from the original on July 16, 2015. Retrieved 2010. ^ "Chapel spec (Acknowledgements)" (PDF). Cray Inc. October 1, 2015. Archived (PDF) from the original on February 5, 2016. Retrieved 2016. ^ "Gambas Documentation Introduction". Gambas Website. Archived from the original on October 9, 2017. Retrieved 2017. ^ "Facebook Q&A: Hack brings static typing to PHP world". InfoWorld. March 26, 2014. Archived from the original on February 13, 2015. Retrieved 2015. ^ "Write once, run anywhere?". Computer Weekly. May 2, 2002. Retrieved . ^ a b c "1.2 Design Goals of the Java(TM) Programming Language". Oracle. January 1, 1999. Archived from the original on January 23, 2013. Retrieved 2013. ^ McMillan, Robert (August 1, 2013). "Is Java Losing Its Mojo?". wired.com. Archived from the original on February 15, 2017. Retrieved 2017. Java is on the wane, at least according to one outfit that keeps on eye on the ever-changing world of computer programming languages. For more than a decade, it has dominated the TIOBE Programming Community Index, and is back on top - a snapshot of software developer enthusiasm that looks at things like internet search results to measure how much buzz different languages have. But lately, Java has been slipping. ^ "JavaOne 2013 Review: Java Takes on the Internet of Things". www.oracle.com. Archived from the original on April 19, 2016. Retrieved 2016. ^ a b "Why should I uninstall older versions of Java from my system?". www.java.com. Archived from the original on February 12, 2018. Retrieved 2018. ^ "Java SE 6 Advanced". www.oracle.com. Retrieved . ^ Byous, Jon (c. 1998). "Java technology: The early years". Sun Developer Network. Sun Microsystems. Archived from the original on April 20, 2005. Retrieved . ^ Object-oriented programming "The History of Java Technology". Sun Developer Network. c. 1995. Archived from the original on February 10, 2010. Retrieved 2010. ^ "JAVASOFT SHIPS JAVA 1.0". Retrieved . ^ "JSG - Java Study Group". open-std.org. Archived from the original on August 25, 2006. Retrieved 2006. ^ "Why Java(TM) Was - Not - Standardized Twice" (PDF). Archived (PDF) from the original on January 13, 2014. Retrieved 2018. ^ "What is ECMA--and why Microsoft cares". Archived from the original on May 6, 2014. Retrieved 2014. ^ "Java Community Process website". Jcp.org. May 24, 2010. Archived from the original on August 8, 2006. Retrieved 2010. ^ "JAVAONE: Sun - The bulk of Java is open sourced". GrnLight.net. Archived from the original on May 27, 2014. Retrieved 2014. ^ "Sun's Evolving Role as Java Evangelist". O'Reilly Media. Archived from the original on September 15, 2010. Retrieved 2009. ^ "Learn About Java Technology". Oracle. Archived from the original on November 24, 2011. Retrieved 2011. ^ Topic, Dalibor. "Moving to a Plugin-Free Web". Archived from the original on March 16, 2016. Retrieved 2016. ^ "JAVASOFT SHIPS JAVA 1.0". Archived from the original on March 10, 2007. Retrieved . ^ Chander, Sharat. "Introducing Java SE 11". oracle.com. Archived from the original on September 26, 2018. Retrieved 2018. ^ "Java Card Overview". Oracle Technology Network. Oracle. Archived from the original on January 7, 2015. Retrieved 2014. ^ "Java Platform, Micro Edition (Java ME)". Oracle Technology Network. Oracle. Archived from the original on January 4, 2015. Retrieved 2014. ^ "Java SE". Oracle Technology Network. Oracle. Archived from the original on December 24, 2014. Retrieved 2014. ^ "Java Platform, Enterprise Edition (Java EE)". Oracle Technology Network. Oracle. Archived from the original on December 17, 2014. Retrieved 2014. ^ "Is the JVM (Java Virtual Machine) platform dependent or platform independent? What is the advantage of using the JVM, and having Java be a translated language?". Programmer Interview. Archived from the original on January 19, 2015. Retrieved 2015. ^ Jelovic, Dejan. "Why Java will always be slower than C++". Archived from the original on February 11, 2008. Retrieved 2008. ^ Google. "Loop Recognition in C++/Java/Go/Scala" (PDF). Retrieved . ^ "Symantec's Just-In-Time Java Compiler To Be Integrated into Sun JDK 1.1". Archived from the original on June 28, 2010. Retrieved 2009. ^ Salcic, Zoran; Park, Heejong; Teich, Jürgen; Malik, Avinash; Nadeem, Muhammad (2017-07-22). "Noc-HMP: A Heterogeneous Multicore Processor for Embedded Systems Designed in SystemJ". ACM Transactions on Design Automation of Electronic Systems (TODAES). 22 (4): 73. doi:10.1145/3073416. 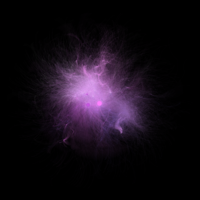 ISSN 1084-4309. ^ "NullPointerException". Oracle. Archived from the original on May 6, 2014. Retrieved 2014. ^ "Exceptions in Java". Artima.com. Archived from the original on January 21, 2009. Retrieved 2010. ^ "Java HotSpot(TM) Virtual Machine Performance Enhancements". Oracle.com. Archived from the original on May 29, 2017. Retrieved 2017. ^ "Java HotSpot VM Options". Oracle.com. September 7, 2010. Archived from the original on March 6, 2011. Retrieved 2012. ^ "Garbage-First Collector". docs.oracle.com. Archived from the original on March 9, 2016. Retrieved 2016. ^ "Operator Overloading (C# vs Java)". C# for Java Developers. Microsoft. Archived from the original on January 7, 2015. Retrieved 2014. ^ "Multiple Inheritance of State, Implementation, and Type". The Java(TM) Tutorials. Oracle. Archived from the original on November 9, 2014. Retrieved 2014. ^ "Lesson: A Closer Look at the "Hello World!" Application". The Java(TM) Tutorials > Getting Started. Oracle Corporation. Archived from the original on March 17, 2011. Retrieved 2011. ^ "Java and Scala's Type Systems are Unsound" (PDF). Archived (PDF) from the original on November 28, 2016. Retrieved 2017. ^ Arnold, Ken. "Generics Considered Harmful". java.net. Archived from the original on October 10, 2007. Retrieved 2015. CS1 maint: BOT: original-url status unknown (link). More comments to the original article available at earlier archive snapshots like . ^ Jelovic, Dejan. "Why Java Will Always Be Slower than C++". www.jelovic.com. Archived from the original on February 11, 2008. Retrieved 2012. ^ Owens, Sean R. "Java and unsigned int, unsigned short, unsigned byte, unsigned long, etc. (Or rather, the lack thereof)". Archived from the original on February 20, 2009. Retrieved . ^ Kahan, William. "How Java's Floating-Point Hurts Everyone Everywhere" (PDF). Electrical Engineering & Computer Science, University of California at Berkeley. Archived (PDF) from the original on September 3, 2012. Retrieved 2011. ^ "Have you checked the Java?". Archived from the original on September 3, 2012. Retrieved 2011. ^ Woolf, Nicky (2016-05-26). "Google wins six-year legal battle with Oracle over Android code copyright". The Guardian. ISSN 0261-3077. Retrieved . ^ "Collections Framework Overview". Java Documentation. Oracle. Archived from the original on December 31, 2014. Retrieved 2014. ^ "Java(TM) Security Overview". Java Documentation. Oracle. Archived from the original on January 3, 2015. Retrieved 2014. ^ "Trail: Internationalization". The Java(TM) Tutorials. Oracle. Archived from the original on December 31, 2014. Retrieved 2014. ^ "How to Write Doc Comments for the Javadoc Tool". Oracle Technology Network. Oracle. Archived from the original on December 18, 2014. Retrieved 2014. ^ Niccolai, James (January 23, 2001). "Sun, Microsoft settle Java lawsuit". JavaWorld. International Data Group. Archived from the original on May 28, 2008. Retrieved 2008. ^ Mullin, Joe. "Google guilty of infringement in Oracle trial; future legal headaches loom". Law & Disorder. Ars Technica. Archived from the original on May 8, 2012. Retrieved 2012. ^ Mullin, Joe (May 31, 2012). "Google wins crucial API ruling, Oracle's case decimated". Ars Technica. Archived from the original on March 12, 2017. Retrieved 2012. ^ Rosenblatt, Seth (May 9, 2014). "Court sides with Oracle over Android in Java patent appeal". CNET. Archived from the original on May 10, 2014. Retrieved 2014. ^ Mullin, Joe (May 26, 2016). "Google beats Oracle--Android makes "fair use" of Java APIs". Ars Technica. Archived from the original on January 20, 2017. Retrieved 2016.